JERUSALEM (CNS) — As the world witnesses “another outburst of hatred and violence, which is once again bleeding all over the Holy Land,” the head of Jerusalem’s Latin Patriarchate called for prayers for peace. The Associated Press reported that the same day the United States was inaugurating its embassy in Jerusalem, Israeli forces shot and killed 57 Palestinians and injured more than 2,700 during mass protests along the Gaza border May 14. 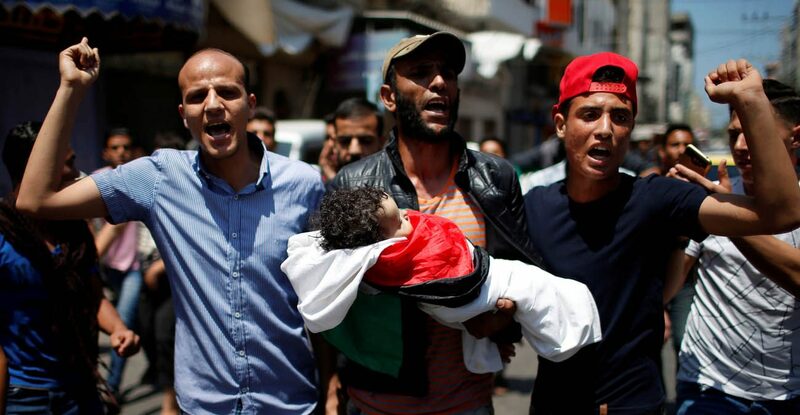 In addition, a baby died from tear gas inhalation, the Gaza Health Ministry said, bringing the death toll to 58.